Here at TheHappyMD.com we have helped hundreds of physicians recover from burnout since our launch in 2011. 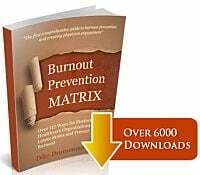 Early in that process we began to notice patterns in the specific sources of stress that drive doctors into burnout's downward spiral. 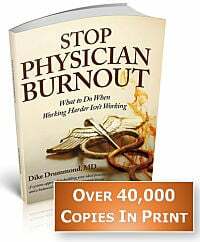 The patterns eventually revealed the four main causes of physician burnout and recent leadership research has revealed a 5th major cause. We have continued to coach and train well over 10,000 physicians how to recognize and mitigate for these risks. Another pattern is emerging and revealing itself as the 6th cause of physician burnout. This is a gender specific cause effecting only women physicians in the healthcare workplace. 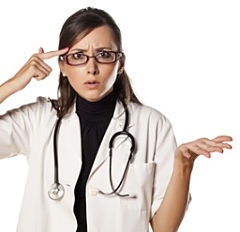 The source is nothing new, I am certain gender bias in healthcare has been around since Hippocrates, what is notable from my perspective as a coach -- is the high frequency with which unconscious gender bias plays an independent role as a cause of physician burnout in women. Men and women are different. Different neuroanatomy, different upbringing and unconscious programming, different internal hormonal environment and different cultural norms for how a man or woman is supposed to behave. We already know men and women experience physician burnout differently. Before we go any further, I need to tell you a little about the gender mix of our population of physician coaching clients. Even though the proportion of male and female physicians on the world wide web is roughly 50:50, the subset of physicians who take action to schedule a Discovery Session and hire one of our coaches for support -- is approximately 80% women. There are no proven differences in the prevalence of burnout in men and women. The difference is that women ask for help more frequently than men. Over time another subtle, stable and persistent pattern has emerged from the whirlwind of stresses that can cause burnout in women physicians. This cause does not effect men. In fact, it is often completely invisible to their male colleagues working in the same office with the same team members. I am talking about Unconscious Gender Bias -- the ways we treat women different than men without realizing we are doing it. I am NOT talking about sexism, misogyny or conscious discrimination against women. Of course there are men who are boors, oafs, jerks, oblivious sexist bullies and worse. This post is not about that behavior. I am referring to observable differences in behavior toward - and expectations of - female physicians in the healthcare workplace. People don't recognize they are doing this, and it's just as likely to come from a woman as a man. These silly, time wasting requests can come from any direction - patients, any staff member, peer physicians, members of the leadership team -- and are just as likely to come from a woman as a man. Clean up the doctor's lounge, take notes in a meeting, get coffee, chair useless committees, buy the office manager's birthday present or make cupcakes for the party, take extra call on short notice, look up the dose of this year's flu vaccine for their MA ... and so many more. 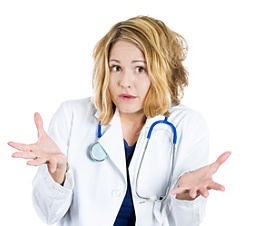 In many practices the female physicians will field dozens of questions from the full mix of office staff and tell their coach, "They are always interrupting me to ask questions and never approach my male partners. It happens all the time and makes it difficult to stay on time and get my work done." This is absolutely not a situation of a sexist man telling a woman what to do. That would be conscious gender bias. Instead, this is beneath the surface and universal, coming at the woman physician from all directions at once. This is a not "guy versus gal" situation. The requests are just as likely to come from women as they are from men. In fact -- because the majority of the staff in the average medical office are women -- the majority of the requests come from female staff members to the female physicians. The extra work of fielding these questions is a burden the men in the office not only don't have to expend energy on -- they are nearly always completely unaware this is going on at all. It is tough to recognize something that is not happening to you. The one constant of these inappropriate requests is that they are questions you would never ask a male physician. If you did, he would immediately turn you down and his refusal would be perfectly acceptable in the culture of the workplace, simply because he is a man. But these same requests flow naturally and automatically to the women physicians in the practice. This process is unconscious and almost always unrecognized. It's invisible nature is similar to another pervasive unconscious bias in our American society. This is analogous to a person of color talking with a white person about white privilege. Full disclosure: I am a big, old, white guy. I always get served promptly in any restaurant, or retail store I enter, have no fear being stopped by the police and people do not avoid me when I am walking alone on a street at night. Until I was 40, I did not realize these as privileges -- perks of my race in our American society. They are automatic, in the background, perfusing every scrap of dialogue and body language of my interactions with others. And it is a consequence of the random fact of my race. The same applies here for unconscious gender bias. It is pervasive, unrecognized, thought to be normal, invisible to the opposite gender - just like my white privilege was invisible to me. Unless you point it out and begin a dialogue to level the playing field, it is in full operation in every healthcare workplace. The nature of our work as doctors is to help, comfort, take care of others -- all things that are classically seen as women's work. Unconscious gender bias guarantees women in leadership roles (physicians in a healthcare workplace) are automatically tasked with a double dose of requests to help everyone else in the practice. Women are expected to always say "Yes"
Inherent in these requests is absolute expectation that the woman doctor who is their target will of course reply with a "Yes". Any attempt to say no ... no matter how tactful you try to be ... can very quickly get you labeled with a word that rhymes with witch. The situation is very different if anyone asks a similar question to a male physician. "If you want to know the dose of flu vaccine, Google it. That's not my job," as he turns his back, walks into the patient room and closes the door. Short, simple, direct ... right? That's something a man can say without suffering a cultural penalty of any kind. A female physician using the same language and tone would be running a significant risk of being labeled. For men, these boundaries and this language is seen as normal, healthy and perhaps even a sign that he has "leadership potential". Often times the woman physician will herself be unaware of the skewed behavior until their coach points it out. Once the issue is surfaced she can quickly see the bias in the nature of the inbound requests and the bias of who is getting asked in the first place. That's the thing about an unconscious behavior ... once you are able to see the previously invisible pattern ... you can't un-see it. Our society expects women to be self-modest, self-effacing team players, to mentor young people, assist co-workers, to be empathetic, helpful, motherly, nice, do the housework, take on the most thankless committees, to be of service at all times and do the emotional heavy lifting for the staff in the practice. Our society expects men to be dominant, self assured, set boundaries, give orders and expect obedience, be gruff on occasion and take the lead. This yin - yang pattern skews the way everyone in the office interacts with the female physicians. If you need something from a doctor, you are more likely to go to one of the female physicians in the practice. This wouldn't be such a big issue if we allowed women to have the healthy boundaries we automatically grant their male partners. If you could say "No", be a little gruff now and then or not go the extra emotional mile for an upset staff member -- when you are already 45 minutes behind on your schedule -- and NOT pay the b-word penalty -- this would not be such a problem. Remember the movie, "The Matrix"? At the end Neo could see the green numbers streaming down the walls, the matrix itself was now visible. When you learn to recognize this previously unconscious gender bias -- no matter what your gender -- you will begin to see it everywhere around you. You will also probably want to do something about it, so you or your female colleagues are not stressed by these undeserved and unbalanced pressures. Whether you are a man or a woman make sure you evaluate the requests you make to women in your practice by asking, "Would I make this same request if I were asking a man?" If the answer is "No", find another way to accomplish this task than by automatically asking a woman to do it and expecting her to say "Yes". If you are a female physician -- or any woman who is fielding multiple requests that fulfill the conditions above and you want this behavior to change -- you will be walking a tight rope. This is a balancing act between saying yes to all requests to avoid disappointing others and saying no in a clumsy fashion that saddles you with the b-word label. There is a middle ground and it is a narrow band of very thoughtful conversation. To breathe and focus on exactly what to say to maintain your balance on the tightrope takes effort and time in your work day. It is not easy. If you become good at it, the requests may slow and you may get some relief. However a better approach is to address the issue with the entire team at once if you can. The most functional way to address unconscious gender bias in your workplace is to buy the book, What Works for Women at Work and run a journal club for your whole work team - all the physicians and all the staff including the leadership team. This fabulous book is written by a mother-daughter team who compiled loads of research on the effects of gender bias in all of its flavors. The evidence is solid, the effects are pervasive and this book was a real eye opener to me as a male physician. It occupies a central place on my bookshelf and I highly recommend it to all my coaching clients - and all physicians regardless of gender ... including you. The journal club format is the simplest way to provide a permanent awareness upgrade to your work site culture. 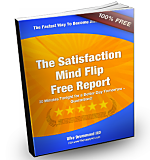 This will bring the entire issue out in the open for all your practice staff. The change in your workplace culture will be rapid and healthy. You will find the team will begin to distribute tasks more effectively and the women in the practice can build and defend healthy boundaries - perhaps for the first time. 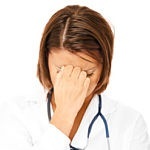 Until this culture change occurs and the unconscious programming beneath this female specific behavior is brought to the surface, women physicians will be at increased risk of physician burnout because of unconscious gender bias. Have you experienced unconscious gender bias or witnessed it happening at work? What tools or dialog do use to get around it? 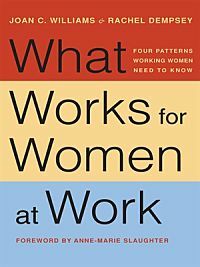 Have you read What Works for Women at Work and what did you find most valuable?